For Sleep Awareness Month we've pulled together some of our favorite sleep resources. Working toward good sleep habits can be difficult, especially during treatment. Give yourself permission to feel tired. Your body and mind are going through something life-changing. 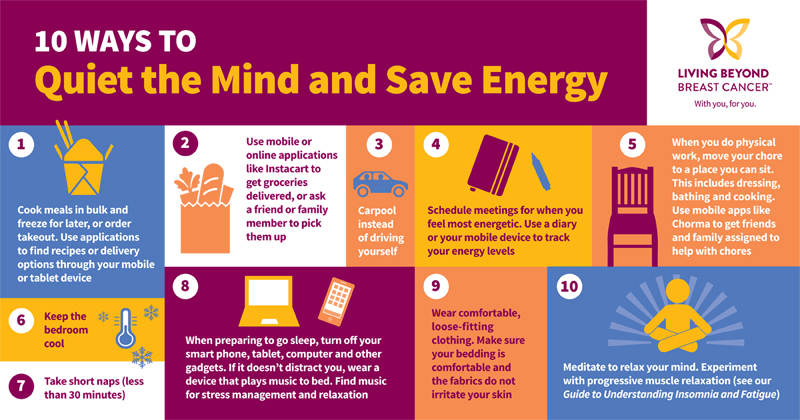 To get through each day, take steps to improve your sleep schedule and exercise habits, and find ways to preserve your energy. Yoga for SleepResearch shows that practicing yoga regularly can provide women with tools to cope with side effects of breast cancer treatment such as stress, anxiety, depression, insomnia or fatigue. Talk with your healthcare providers before starting any yoga practice.